Air On Demand is a local leader in Miami air conditioning and heating, driven by our passion for comfort and customer satisfaction. For many years, we focused on providing appliance and air conditioning repair. 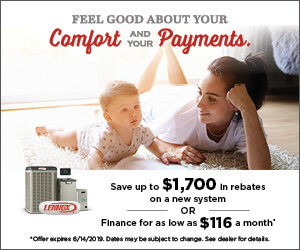 In 1989, we sold that appliance division to focus solely on HVAC and providing air conditioning components to repair companies throughout the region. In 2001, after 23 years in cooling and heating, we saw that Miami air conditioning customers were not getting the high level of service they once did. It had become an impersonal business focused on getting things done instead of building a lasting relationship that the customer could rely on. That’s when Air On Demand was formed to provide the services we felt were missing from the marketplace. We wanted to provide the newest, most environmentally friendly technology on the market without sacrificing the principles of customer service we feel form the foundation of this industry. Even today, our focus is on both newer and greener technologies and maintaining that high level of customer service that helped us build this company from the ground up. We work hard to make sure each and every one of our customers is happy after every Miami FL repair or maintenance visit. When one of our technicians visits your home to work on your air conditioner, you will see the difference and understand why more people in the Miami area trust Air On Demand than anyone else. Call us today to learn about our Miami AC repair, replacement and maintenance services.